The best kind of client are the ones who let you “do your thing”, and that’s exactly the kind of client Sofia was. 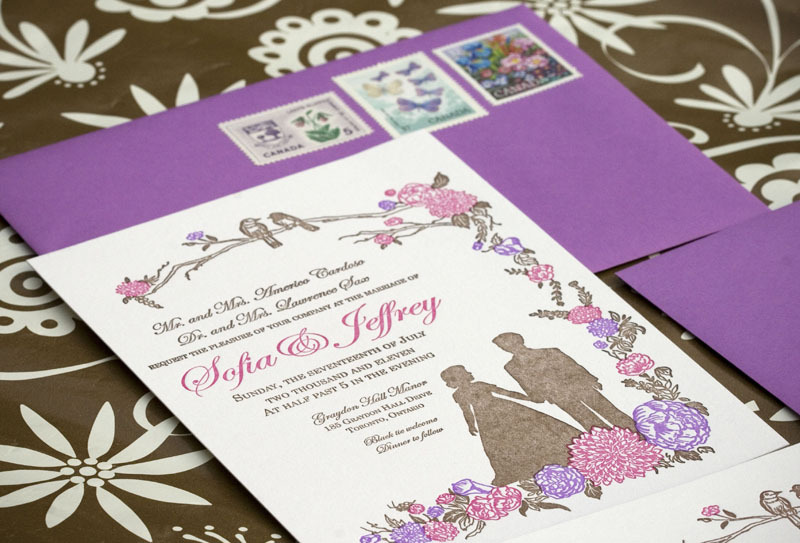 Sofia wanted a custom invitation that included a pair of lovebirds, a few specific types of flowers and a silhouette of a couple holding hands. 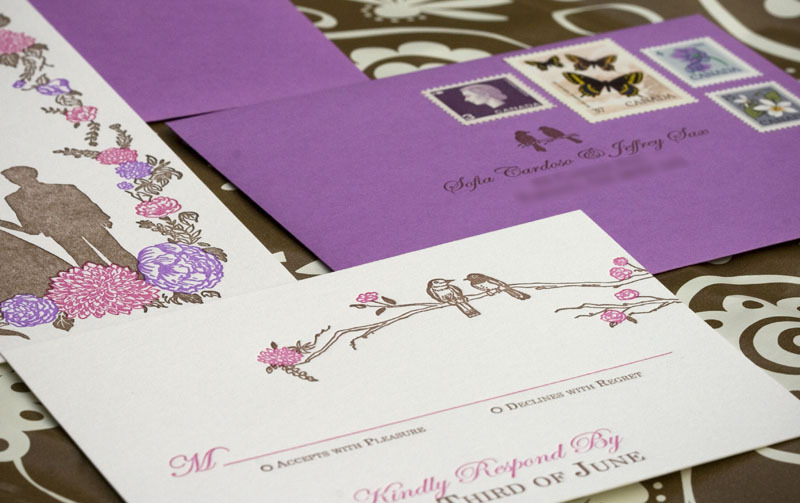 The result is a gorgeous 3-colour announcement complete with coloured envelopes, rendered even more lovely by Send More Mail vintage stamps. Thanks Sofia and Jeffrey for letting us run with our ideas! 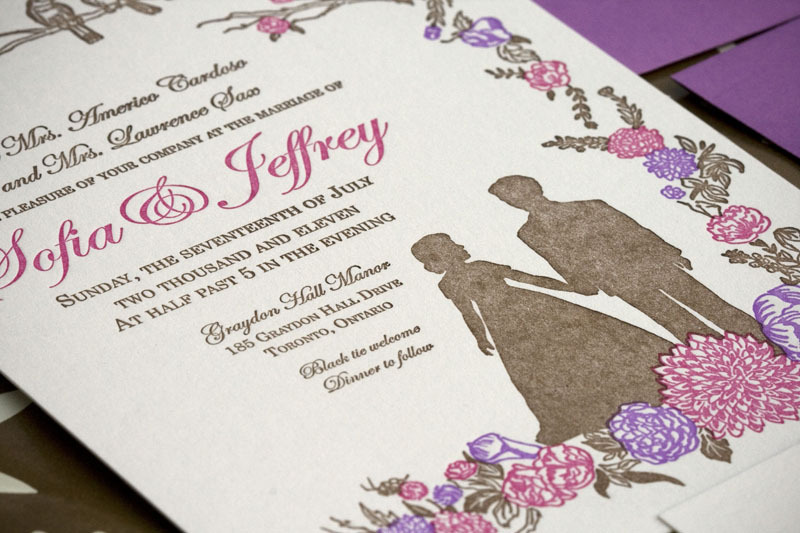 Printed on 300 gsm pearl white Crane Lettra. Gorgeous! 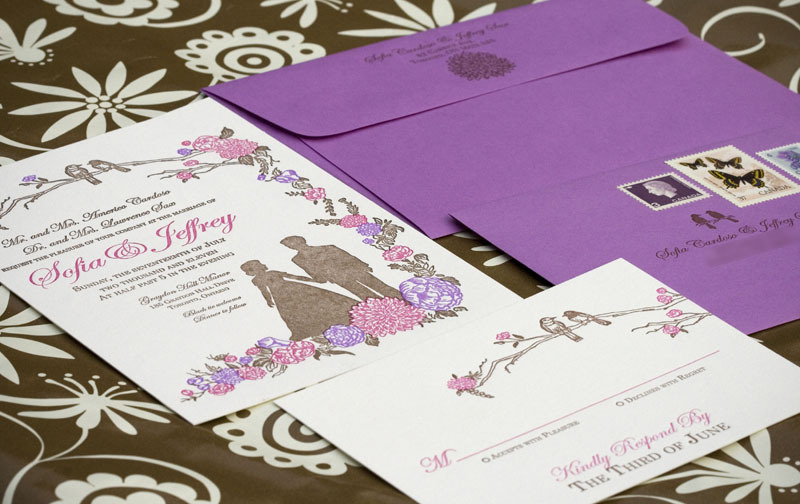 Lovely combination of layout, colors and design.